This topic contains 9 replies, has 2 voices, and was last updated by Nayem 4 years, 2 months ago. 1. I have setup the front end of the site here: http://www.MakerSea.com and have created a subscriber role that allows permission for creation of new projects. However when I'm logging in as the subscriber to the frontend to try, the modal window opens but it is blank , may I know how to solve this ? The proper content shows when I'm logging as an Administrator but not as Subscriber. 2. The frontend and backend layout looks a little off for my theme, the profile pic and the spacings between input fields are also off. I understand the themes I load may cause conflicts but is there any recommendation where I can edit the files ? Looking forward to some support, thanks. 1. Can you please try with a default WordPress theme?. Please let me know after checking. 2. You have to edit your style of your theme. If you are good in code then you can do it with your own hand. 1. I've tried with the default wordpress 2013 theme and doesn't work also . The frontend subscriber project creation doesn't turn up. 2. Is there a recommended folder we should copy out the css files so that it doesn't get affected during file updates? 1. Please provide your login details by using this form- http://wedevs.com/provide-login-details/. I will have a look what is going wrong. 2. You can customize your style.css file in a child theme. Child theme is safe. I've submitted the login details there. Its a test account with admin rights. I got your details. But everything is fine here. I can see the tab clearly. Please check with a different browser. Yes i got your problem. I will suggest you to wait for our new release because we are going to release our new version today or tomorrow. Please keep patience. Oh man , i'm getting excited at the updates. Will existing users get an email notification ? Thanks Nayem, I will keep this ticket open first. You will get automatic update notice in your dashboard. 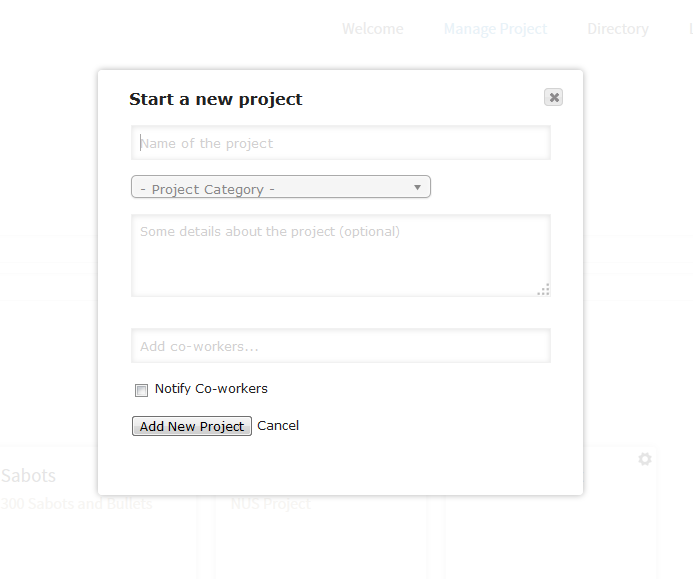 The topic ‘Front end (Create Projects) not showing for Project Manager’ is closed to new replies.